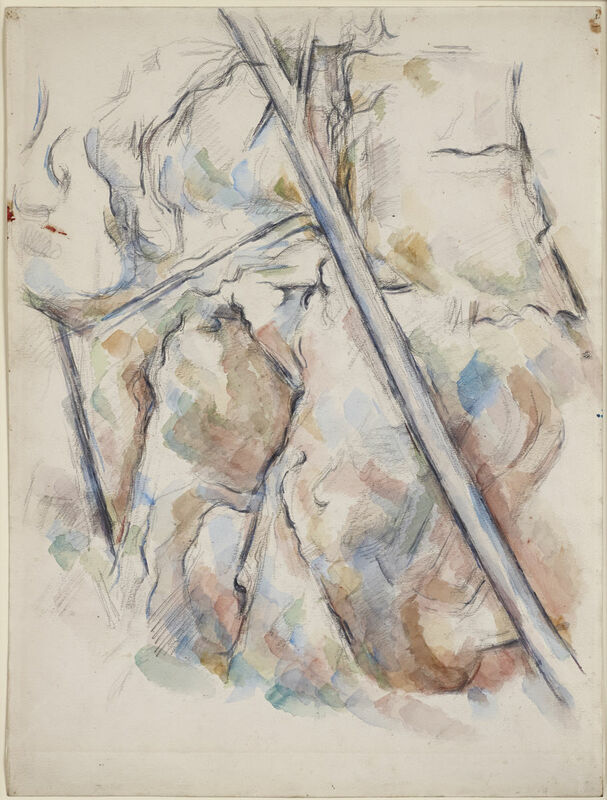 Among the artists exploring radical new approaches to space, brushstroke and drawing was Paul Cézanne (1839-1906), whose work also figures in Landscapes Behind Cézanne, curated by the Princeton University Art Museum’s John Elderfield, who is Allen R. Adler, Class of 1967, Distinguished Curator and Lecturer, with Calvin Brown, associate curator of prints and drawings. This intimate exhibition will be on view from Feb. 24 through May 13, 2018; Princeton is its only venue. Cézanne is widely acknowledged to have transformed landscape painting, most radically in his late watercolors. These works do not so much attempt to depict the actual appearance of a scene as to translate it into self-sufficient sequences of patches and lines of a restricted range of vivid colors. This installation juxtaposes Cézanne’s work with landscapes drawn, printed or painted by earlier artists. The resulting dialogue between images both reveals the extent to which Cézanne employed standard types of landscape depictions – close-up views, woodland panoramas, rocky landscapes, wide vistas, landscapes with buildings – but also suggests how Cézanne goes further, explicitly acknowledging that what is real in art is different and independent from what is experienced in nature. It is not, therefore, an exhibition about causalities, but rather a profound way of illuminating the path of Cézanne’s investigation.